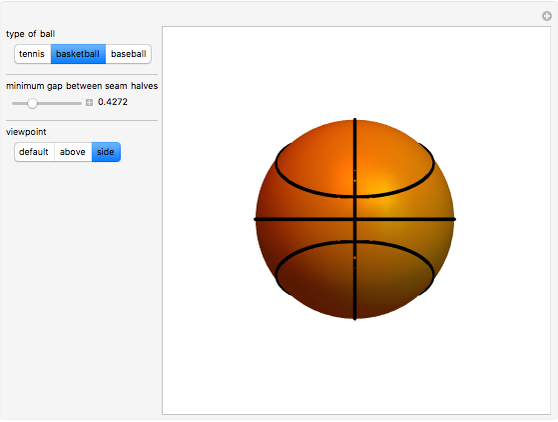 This Demonstration shows the geometry of curved seam lines on the balls used in tennis, basketball, and baseball. These three balls display spherical curves that result from the way they are manufactured (in the case of tennis balls and baseballs) or from traditional decoration (basketballs). Looking at one octant of these balls, you can always see the seam projected on a coordinate plane as an almost-straight line . 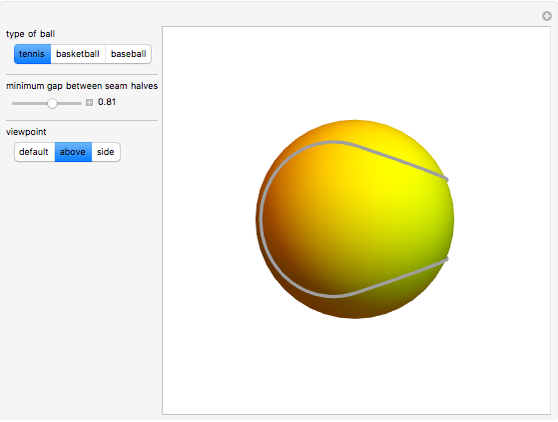 The shape of the complete seam can then be derived by using reflection and symmetry and the fact that it divides the ball into congruent halves for the tennis balls and baseballs. You can vary the shape of the seam by changing the minimum gap between the seam halves. For an excellent article about the seam curve of a baseball, see . R. B. Thompson, "Designing a Baseball Cover," The College Mathematics Journal, 29(1), January 1998. geofhagopian.net/MAM/DesigningBaseballCover.pdf. 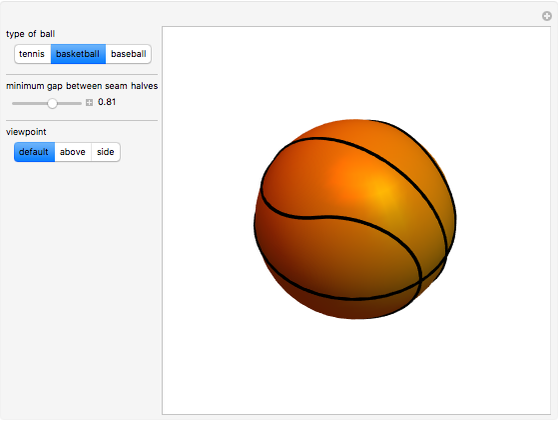 Erik Mahieu "Seam Curves on Sports Balls"